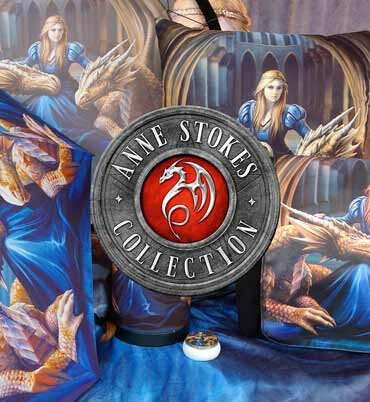 Exclusive to Nemesis Now, this enchanting shoulder bag comes from the wild and untamed imagination of leading Gothic artist Anne Stokes. Standing with head bowed, a white-haired Fairy wears a long white lace dress, white wings open behind her with the same pattern repeated on them. Head bowed and eyes closed, she holds a small bouquet of red roses to her face, lost in a reverie. After everything that has happened, after all that was said and done, all that is left is love. That’s all she has. This shoulder bag has a smaller front pocket in addition to the main pocket for greater ease and flexibility of storage, as well as an adjustable strap.